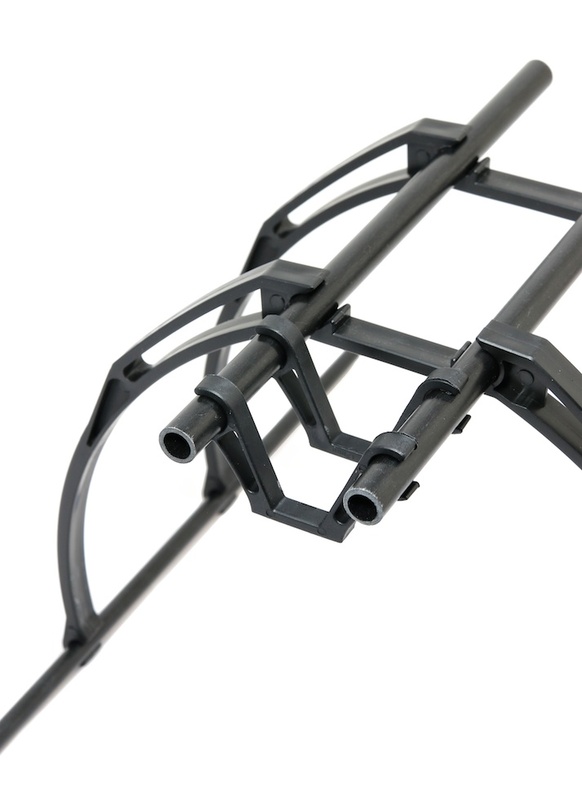 12mm load hangers are widely used in multicopter builds, being mainly used to attach battery and gimbal mounts to load bearing rails. 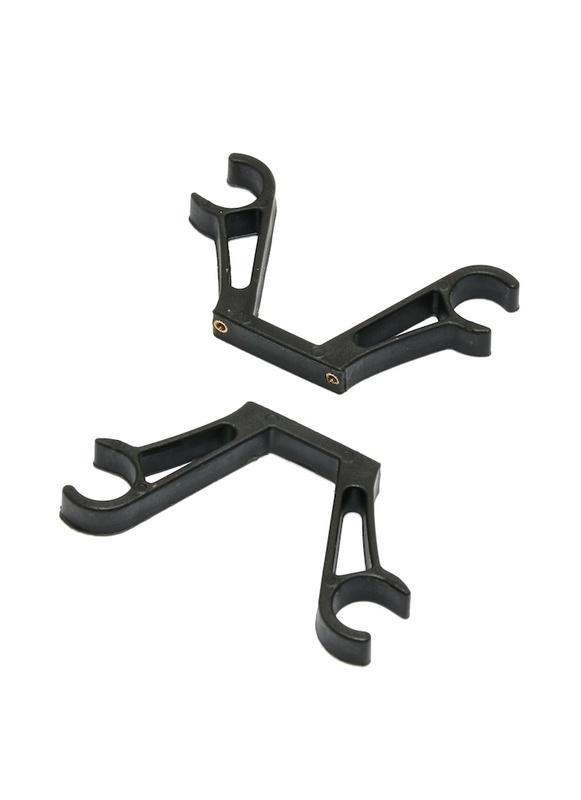 The hangers securely clip onto two 12mm tubes. What is the spacing distance between the screws and the distance apart between the hooks? Screw hole centres ~25mm, hook centres ~57mm designed for a standard 60mm mounting rail.